The Tea Master is modern tradition. 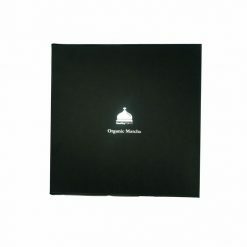 This matcha gift box contains the finest organic matcha; No. 1 Ceremony, No. 2 Energy and No. 3 Sprinkle with hand made tea implements. Everything from the matcha, the implements to the box itself are all Made in Japan. The Tea Master is a luxury organic matcha gift set featuring HealthyTOKYO organic matcha. This matcha gift set contains all three cans of premium organic matcha; No. 1 Ceremony, No. 2 Energy and No. 3 Sprinkle. Everything in this luxury matcha gift box is made in Japan, including the box. All HealthyTOKYO matcha is certified organic by Japan Agricultural Standards (JAS) and grown in the hills of Western Japan. No. 1 Ceremony is the highest quality organic matcha available and is ceremonial level. It is stone-ground from the youngest leaves. It is a vibrant green with a delicate taste and fine texture. No. 2 Energy is premium stone ground matcha designed for drinking everyday. It’ll give your lattes, smoothies and cocktails a kick of energy. No. 3 Sprinkle is made with a combination of early and late harvest tea leaves for a robust flavor. Sprinkle on all your food to add superfood powers and a robust flavor. The chasen yasume and gift box are also proudly Made in Japan. The Tea Master is a must have for any tea lover! Enjoy matcha in the traditional way with implements steeped in history. Organic Matcha Gift Set – The Tea Master also makes a great souvenir for anyone with an interest in Japanese culture, history and food.